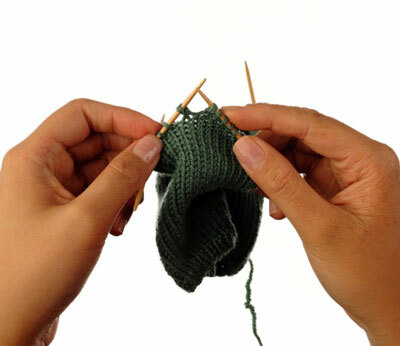 The trick to making a short-row heel is knowing how to wrap and turn. 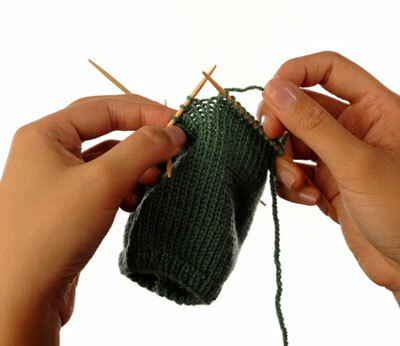 When working short rows, if you simply turn the piece around and knit, then holes form at the turning point. Wrapping the stitches fills in these holes for a smooth appearance. 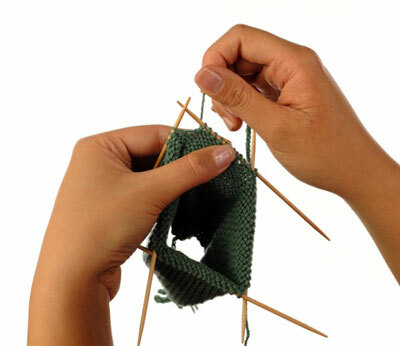 Knit to the point where you will wrap and turn. 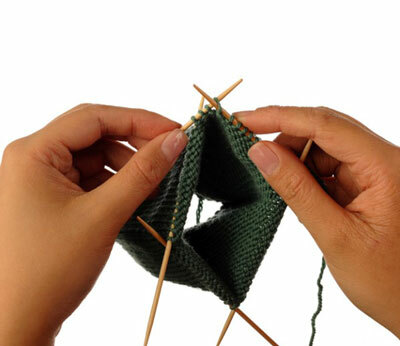 Bring the yarn to the front between the needles. 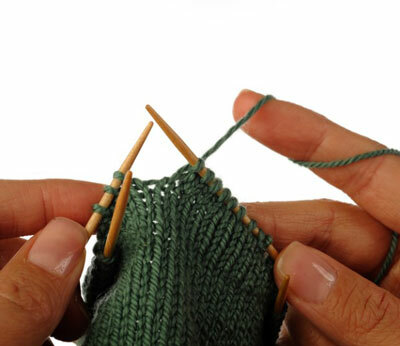 Slip the next stitch on the left needle to the right needle, purlwise. 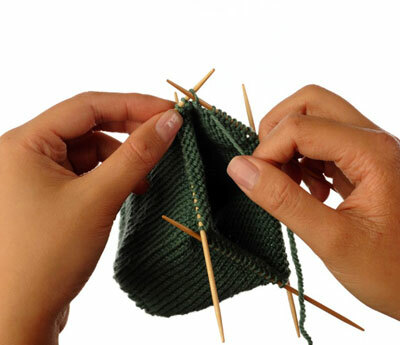 Bring the yarn to the back between the needles. 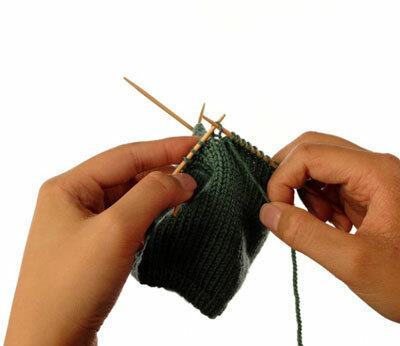 Slip the stitch from the right needle back to the left. Turn. The yarn is now correctly positioned to purl. 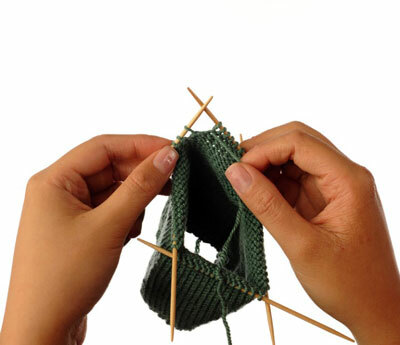 Knit to the wrapped stitch. The wrap is seen as a small bar across the bottom of the stitch. If you have two wraps, they are one atop the other. 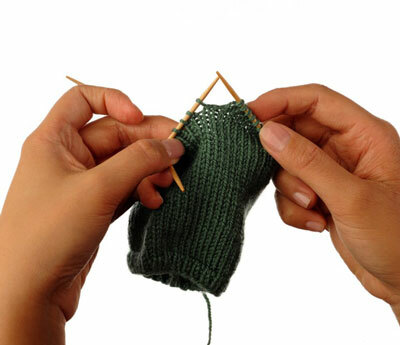 Insert the right needle tip into all wraps from bottom to top, and then into the stitch on the needle as if to knit. 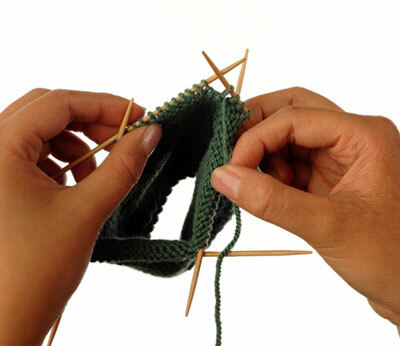 Slip all wraps plus the stitch to the right needle. Re-insert the left needle tip into all wraps plus the stitch, ready to knit. 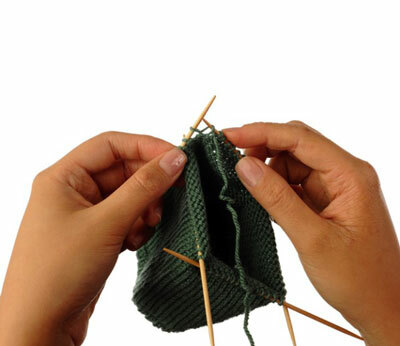 Knit all wraps and the stitch together. 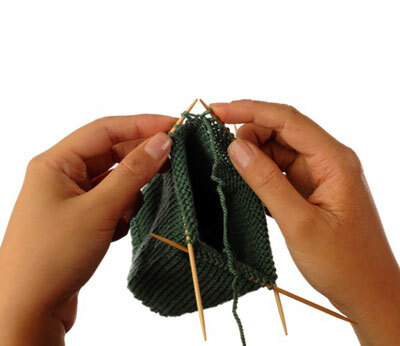 Purl to the point where you will wrap and turn. Keep the yarn in front. Turn. 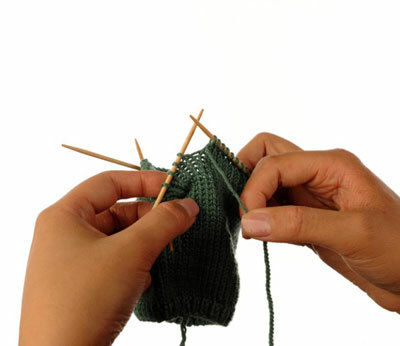 To knit, you need to bring the yarn to the back between the needles. 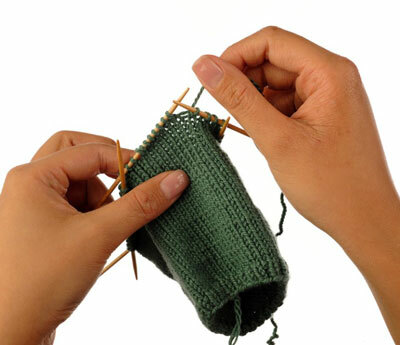 Purl to the wrapped stitch. The wrap is difficult to see from the purl side but you can easily visualize it from the knit side as a bar wrapped around the bottom of the stitch. If you have multiple wraps, they are atop one another. 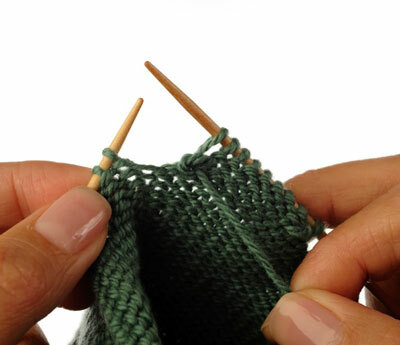 Place the right needle tip through the wraps on the knit side from top to bottom. This will hide the wrap from the right side (outside) of the sock. Lift the wraps up and place them on the left needle. Purl all the wraps and the stitch together.